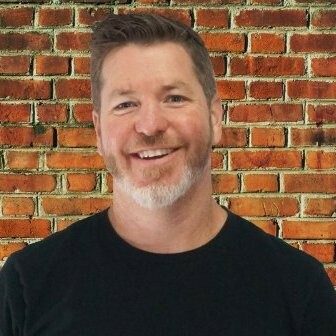 Doug Holt, Coach, Mentor, Growth Hacker, Lifestyle Engineer, Mastermind Group Leader, Transformational Coach, and Marketing Expert, joins me on this episode of #Accelerate! Doug is a digital nomad. Doug has always been an entrepreneur. He runs six businesses, including business coaching companies, marketing agencies, and a fitness trade journal. His health suffered from all the stress. While he was in Santa Barbara in his early 20s, he trained many top celebrities and business people with his boutique private fitness training. Doug learned that business success has a direct correlation with balance in personal relationships. Some mentors had urged him to choose between his personal life and his business but that didn’t sit well with him. Doug noticed that the few of his clients who were happy had taken a balanced approach to prioritize fitness and relationships. If Doug had listened to some of his more business-driven clients, he would not be happy today. Doug says if people are unfulfilled, they turn to something that they can control and have fulfillment in and for business owners, that tends to be business. Andy says when he wasn’t happy, his work suffered as well. Andy and Doug agree on a balanced integration of all aspects of life. Doug found that the more authentic he was, the more authentic his clients would feel free to be. Putting on a business “front” decreases trust. Doug quotes Dr. Seuss: “Today you are You, that is truer than true. There is no one alive who is Youer than You.” Make that your unique superpower. Andy works to enable people to become the best version of themselves. Doug read and listened to business books that his executive father gave him as a child. He assumed everyone else did. He had a business persona. It took him a while to learn to open up his life into his business. Today’s emphasis on sales “process” discourages taking risks. You have to have the freedom to explore what strategies aligns best for you. Doug is looking for risk-taking intrapreneurs for his businesses. Citing Eric Barker, Doug says great rule-followers are very easy to replace; a maverick is invaluable. Doug explains why. Some employers just want interchangeable parts, but you may not want to fill that role for them. Most business owners are rule breakers. Why should their employees be conformists? Andy talks about his criteria for new employment. He wanted situations that scared and challenged him to learn new things. Growth happens outside of comfort zones. Doug marks his life in 90-day chunks to work in and make himself uncomfortable in each of five areas — Mind, Body, Soul Relationships, Business. He gamifies goals with points.